LAHORE: Chief Justice Mian Saqib Nisar Friday raised serious questions about the appointment of former Punjab chief minister as president of Pakistan Kidney and Liver Institute (PKLI). The apex court also questioned the appointment of secretary health as PKLI Board’s member. A three-member bench, headed by Chief Justice Mian Saqib Nisar, was hearing suo motu notice of PKLI affairs. The Chief Justice questioned under what law the government functionaries were made members of the PKLI Board. The CJ questioned the legal authority of the former chief minister to award funds to a private society. “The Sultan did what it desired,” he observed while smelling monkey business of billions of rupees in the project. The CJ observed that the misuse of authority floated on the surface as all affairs of the Institute were being run in callous manner. 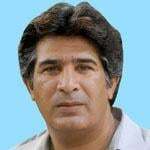 It was also revealed in the report that former Chief Minister Shahbaz Sharif, President of the Institute Dr Saeed Akhtar, Health Secretary and others were illegally appointed members Board of the PLKI that had sanctioned huge funds without lawful authority. Justice Ijazul Ahsan wondered how the Punjab government delegated its powers to a private company, while another member on the bench, Justice Umar Ata Bandial, observed that the PKLI appears to be formed and working without any law. The bench also watched a video of substandard construction of the PKLI building, which showed leakage in the roof of the Institute and seepage on the wall on June 30 last when the state-of-the-art hospital was opened by Shahbaz Sharif. The advocate general of Punjab and secretary health appeared in the court for hearing of the PKLI. During the hearing, forensic auditor Kokab Zuberi presented a report based on his findings, according to which the PKLI project was estimated to be completed in Rs12.7 billion, but the cost went up to Rs53 billion. So far Rs20 billion had been spent on the institute, while allocation of Rs33 billion had been advised for the current fiscal year, Zuberi added. Besides, infrastructure of the institute had to be completed by December 2017, but it is still incomplete, the forensic auditor said. Not only this, the present structure has started becoming worn out with leaking roofs. The chief justice remarked that approval for PKLI was not sought from the Executive Committee of the National Economic Council. The court called for a detailed report from the chairman, Planning and Development Board”. At a hearing in June, the chief justice sought a reply from the PKLI and the Punjab government after misappropriation of Punjab money at the institute surfaced in an audit report. The CJ regretted that a hefty amount of millions was being paid in salaries at PKLI, while Rs2 million was going in the pocket of the head of the institute each month. Justice Bandial said the court did not want to close down the Hospital and suggested formation of an implementation committee comprising all stake-holders and the CEPO in place of present administration of the hospital. 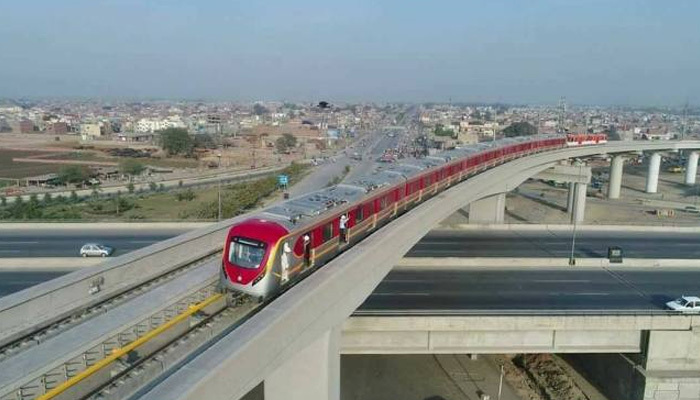 Chief Justice (CJ) Mian Saqib Nisar Friday showed his deep concerns over delay in construction of the Orange Line train project and sought timeframe from the contractors for its completion. The CJ also asked the Punjab secretary finance to clarify details regarding non-payment of dues to contractors. The top judge advised the Punjab government’s counsel to consult the chief minister if necessary. “We must get these projects completed, come what may,” the CJ asserted. Seeking progress reports from the Punjab chief secretary and other authorities, a three-member bench, led by Chief Justice Nisar, heard the case regarding contracts of mega projects awarded to only few companies. Justice Umar Ata Bandial and Justice Ijazul Ahsan were other members of the bench. During the hearing, Justice Bandial observed that the cost of the project would increase if it was further delayed. Chief Justice Nisar said huge public money was involved in the project and it could not be left unattended. He directed the government to resolve monetary issues of the contractors and also work on war footing for the approval of revised PC-I of the project. The CJ was stunned to hear that two of the last cheques, issued to a company by the government, were dishonoured by the banks. How could government’s cheques be dishonoured, questioned the CJ. Answering to CJ’s query, Chief Engineer of the project said that the cheques were dishonoured because certain payments were withheld for the adjustment of advance payment made to the contractors. The representatives of the contractor companies told the court that 98 per cent work had been completed at package-I of the project, 65 per cent at package-II, 90 per cent at package III and VI. Habib Constructions told the court that 90 per cent of work assigned to them had been accomplished while the rest including laying of train track would be done by a Chinese company. The chief justice directed a provincial law officer to discuss the issue with the new government and take it on board about the urgency involved in the project. He said the court would not let any contractor abandon the construction work in any case. The chief justice ordered the contractors to submit their affidavits about deadline of the completion of the work. The court summoned responsible officers of finance department, Nespak and all other departments concerned and deferred hearing till Aug 30. Chief Justice Mian Saqib Nisar Friday directed all provincial governments to furnish reports regarding non-payment of taxes by bottled water manufacturing companies for the use of groundwater. A three-judge bench, headed by the chief justice, was hearing multiple public interest cases at the Lahore registry here on the third day of Eid. The CJ observed that the mineral/ bottled water manufacturing companies had been taking out thousands of gallon groundwater through tube-wells on daily basis and paid nothing to the government. He said the court wanted to know as to how many taxes these companies had been paying for the use of natural water. He lamented that these companies had been making money with free use of groundwater worth billions of rupees. The chief justice directed chief secretaries of all provinces to submit reports within 10 days about the tax being paid by the mineral/ bottled water manufacturing companies. He also directed the Punjab Food Authority to file a separate report about quality of the bottled water being sold by the companies.